Thanks! You have some nice stuff yourself! I *think* I'm full for now. I've received a lot of interest and I'm working my way slowly slowly down the list until my tester needs are met. I'll be launching my official WAHM thread soon, after the testing is completed. The fourth image down after tea time... I want to faint from how pretty it is! Keep that as a signature colorway when you open. It's to die for! I got mine today. It's so much prettier in person thank you so much. I thought that, too! It's hard to photograph the subtle ones. I need to brush up on my photog skills. I'll send you the questions. 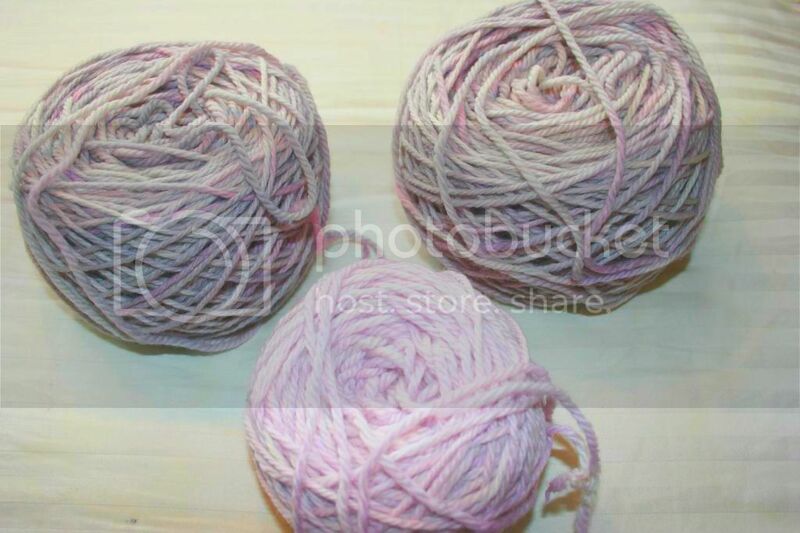 The latest yarn that's getting ready to ship, a subtle and icy grey with pink and purple. A couple more coming when they dry. I'm pming a few more testers, slowly working my way down the list. I'm not sure I'm going to get through everyone, but I'll do a few more now. If I've pm'd you and you've hit me back and not received a reply, please message me again. I think I was having some mail issues for a minute. Both taken with flash on this rainy, yucky day. Pming you, mama. Would anyone be interested in a one color gradation from light to dark? That's about the last technique I'm looking to test. Priority given to previous posters/pm-ers who I haven't gotten to yet. If no one wants to that hasn't gotten any, I will. I finnished my longies today. I do not have them blocked yet though. Tomorrow I will post pics of them blocked as well. For now though here they are. 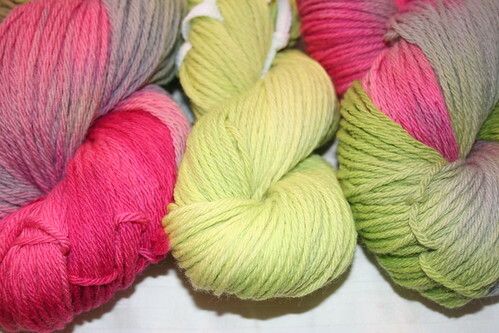 The colorway is from Nachomama. The trim is from another dyer. I think they matched perfectly. The pocket is supposed to be an owl. These are by far my favorite longes we own . The colorway trumped the colorways I alrady own. Turn around time to receive the dyed yarn was super fast. The colorway is shiny and beautiful. I didn't have to do any yarny gymnastics to prevent any pooling. 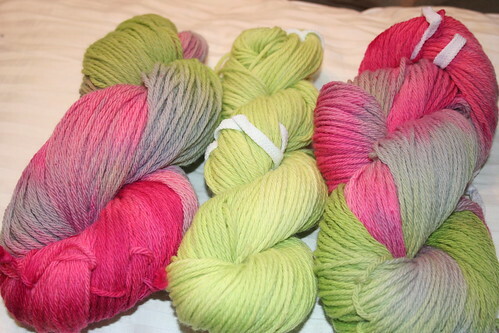 I have yarn from several different established dyers. They are all beautiful. I think Nachomama's are equally proffesional and beautiful. I would definitely buy from her again. Last edited by qsefthuko; 02-08-2013 at 09:16 PM. These look great! Thanks for the kind words!